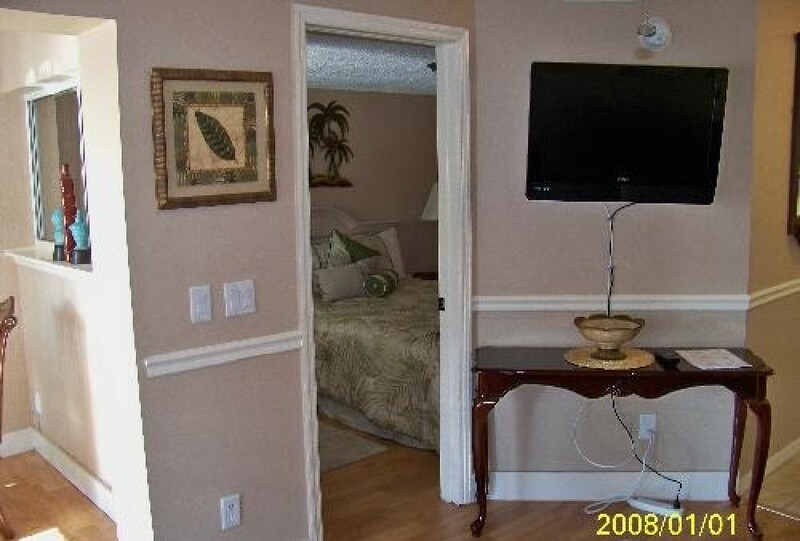 This property recently remodeled with a view of the ocean from your 2nd floor balcony. Just a few hundred feet from the beach makes for a short walk and you will be sitting on the oceans edge.Zero traffic noise.Property dead ends due to ocean inlet.All you hear is the relaxing sound of moving water. You can enjoy the Orlando area theme parks just over an hour drive or a 10 minute drive to Kennedy Space Center.Home to some of the best surf in the world for the active Surfer. Enjoy all the fantastic activities in the area or just relax on our beautiful beach. If your interested in viewing additional pictures of this beautiful condo,please do not hesitate to email us with your request. $ For bookings less than 30 days prior to arrival requires full payment at time of booking. For bookings over 30 days, a 300 deposit.